Do you ever get that “I need to rest and recharge my batteries” feeling? 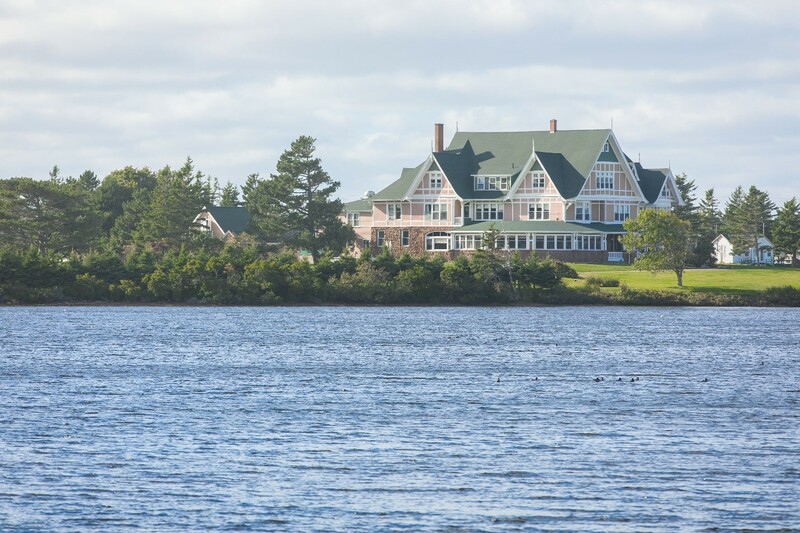 My husband and I had the pleasure of staying at the National Trust Vintage Destination Dalvay by the Sea at the end of our trip to Prince Edward Island. This is the perfect place to rest, recharge and disconnect from phones and emails. When we arrived, it was one of those cool, windy days well known to PEI; your hair is a mess from the ocean breeze and your cheeks are tickled pink. 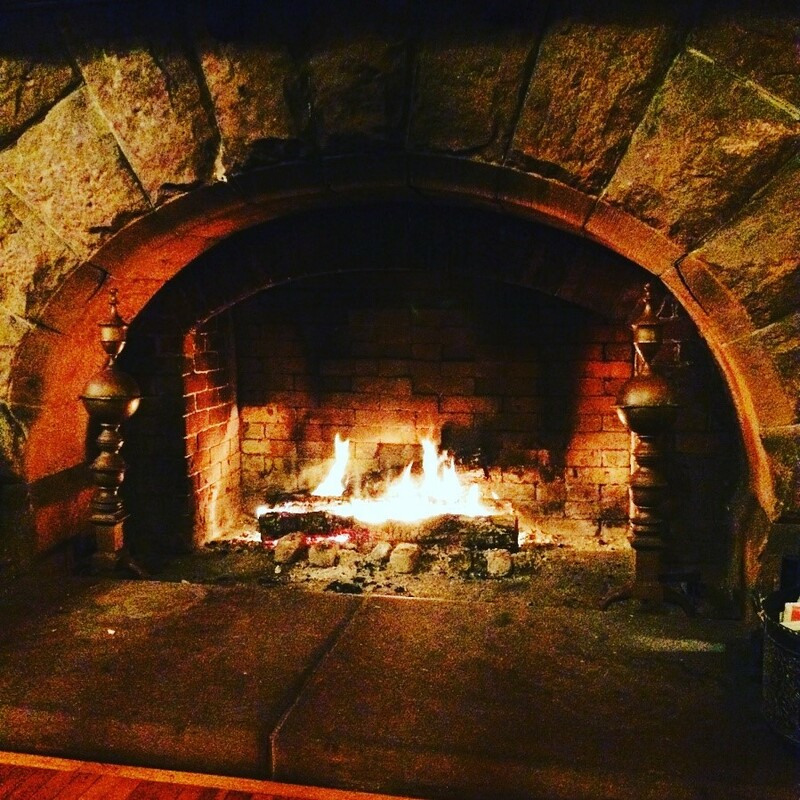 But, as soon as you arrive at Dalvay you can feel the warmth from their historic fireplace. After a very warm welcome from their friendly staff, we went up to our rooms to take a little break before dinner. The rooms are perfect, offering modern comfort in a historic setting. 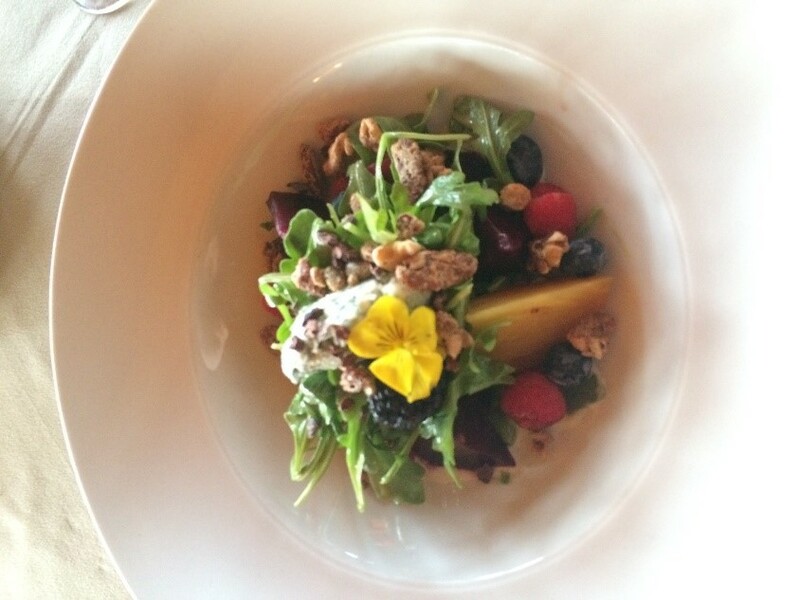 I am not one to get very excited about dining but Chef Chris Colburn’s menu is inspiring – take-a-picture-of-your-food inspiring! Their menu changes monthly based on what is locally available. After dinner, we went for a short hike on one of PEI National Park’s many trails. It really is a magical place with a calm and relaxing atmosphere – another diversion from our busy daily lives. If you think Dalvay by the Sea looks familiar, then you’ve probably seen it before. The Road to Avonlea series used this hotel when filming the outside shots of the fictional White Sands Hotel. A short drive away is Cavendish, so my husband and I drove to Anne’s house. Green Gables Heritage Place is a Parks Canada Site and is free to visit in 2017. There, you can learn about the homestead that inspired L.M. 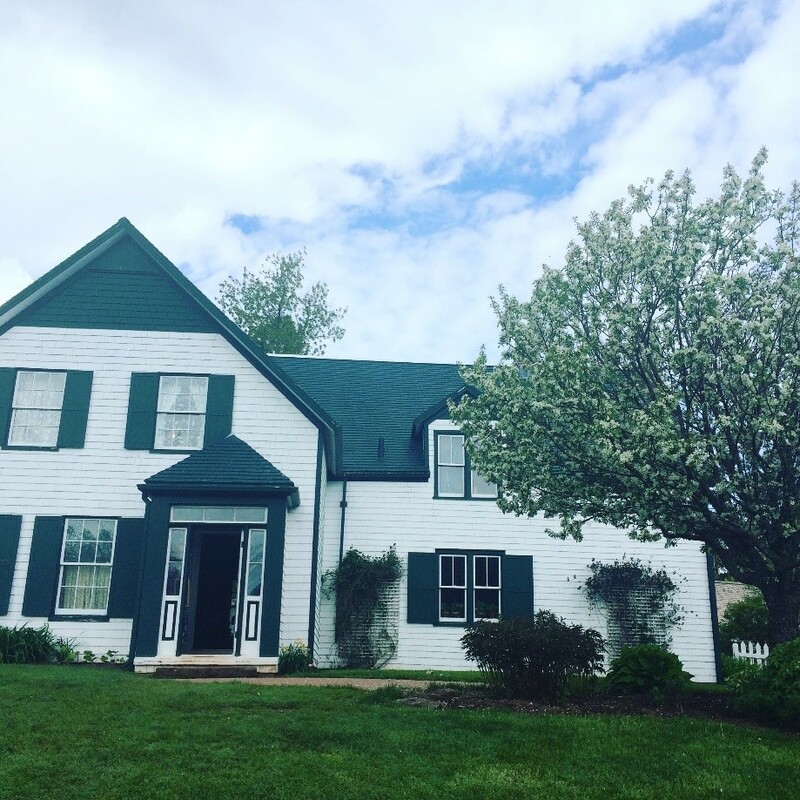 Montgomery to create Anne of Green Gables. We ended our stay with local fish and chips at Richard’s Fresh Seafood located on Covehead Wharf. We were so sad to leave Dalvay by the Sea but we have already made plans to return next year. Learn more about how a simple wave of your National Trust membership card can get you discounts at this and other Vintage Destinations here!